Omincom agency will look to expand on dairy-free milk brand's recent growth. Oatly, the dairy-alternative brand, has hired PHD to manage its media planning and buying across Europe, the Middle East and Africa. From this week, Omnicom shop PHD will work on Oatly’s media business in the UK, Germany, Finland, Denmark, Norway, the Netherlands and Spain as well as the brand’s home market of Sweden. Publicis Groupe’s Starcom was the incumbent in the UK. Andreas Granath, omni-channel media manager at Oatly, said: "We are a special brand trying to do things differently, simultaneously as we grow rapidly. This demands a lot from the people working at Oatly but also from our agencies. "We felt that the team at PHD understood what we want to achieve and they presented a good scalable set-up that will help us to keep on doing great and challenging campaigns across the globe." Swedish agency Forsman & Bodenfors rebranded Oatly in 2014. Its provocative packaging included lines such as "it’s like milk but made for humans", a statement that prompted the Swedish dairy industry to sue Oatly. 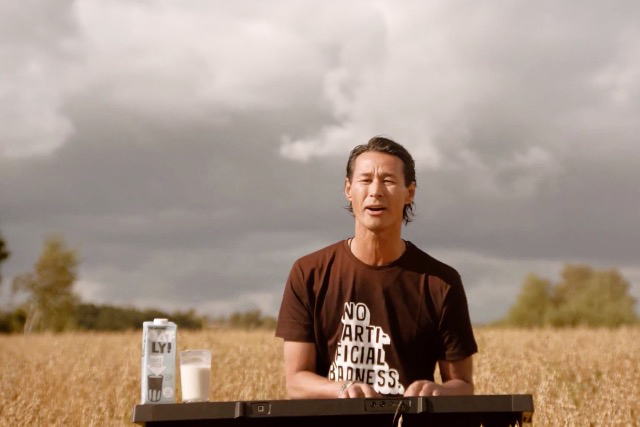 Forsman & Bodenfors created 30 ads starring Oatly chief executive Toni Petersson. The brand also has an in-house creative team. In addition to milk made from oats, Oatly produces yoghurt ("oatgurt"), ice cream and pre-mixed drinks such as cold brew and matcha lattes. Alternatives to dairy milk have increased in popularity in recent years for lifestyle and dietary reasons. Sky News reported in November that coffee shops had run out of Oatly after a UK-wide shortage. PHD has worked with Oatly in the US since November 2017. Toby Hack, chief executive of PHD’s global business division, said: "Oatly’s emphasis on shaking up a very traditional category with attention-grabbing communications really fits with the PHD planning and innovation-led ethos."